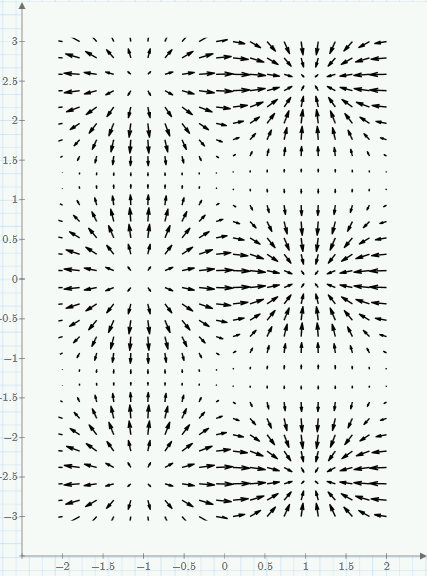 Motivated by a thread (http://communities.ptc.com/message/198454#198454) about vector fields and their missing in Prime 2, I started to develop a small routine which creates a vector of complex numbers, which can easily be used to plot vector fields in 2D plots. That way you not only have vector fields at your disposal in Prime but as they are 2-dimensional they are quite useful in Mathcad 15, too. Especially plotting the slope field of a first order differential equation along with one or more solutions is much easier now than doing it in a 3D graph. The sheet was developed with Mathad 15 and then converted to Prime format - formatting was sometimes lost that way. The worksheet consists of four areas, the first one includes the necessary routines, while the remaining three contain examples: a simple vector field the poster in the thread mentioned above had asked for, a gradient field of a function in two variables (I didn't know that Prime does not support the gradient operator) and the slope field of a first order differential equation along with the graphs of some solutions. I had to completely rewrite that part of the sheet in a very uncomfortable way to get the solutions plotted. The way it was done in MC15 didn't work - don't know why. I include the version for Mathcad 15 and the edited one for Prime 2 along with a pdf of what the MC15 version looks like. Great work! Keep pushing for a better Mathcad Prime 3.0 Walter Lewin in edX MIT 8.02x recently cited Maxwell's drawing of electric field lines and perpendicular equipotential lines. 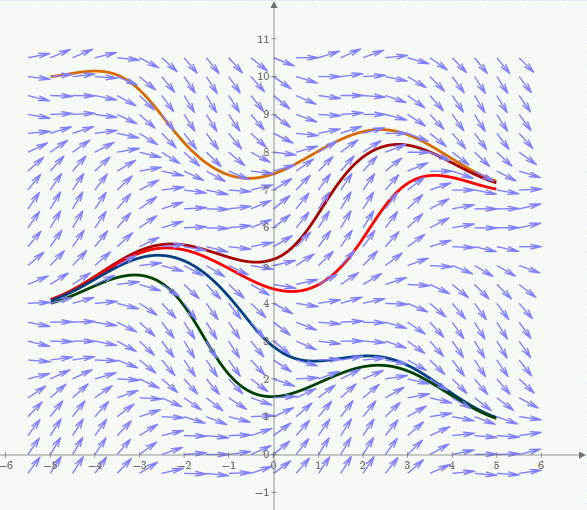 It would be super if we could constuct such graphs in 3D from static charge distributions. I offer this as a challenge for Prime 3.) developers.